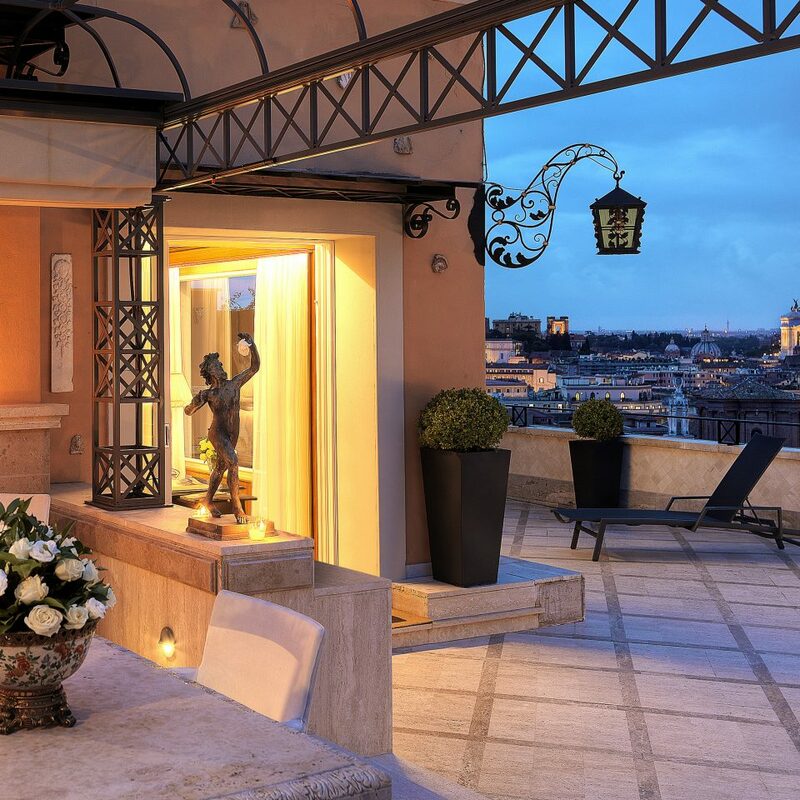 One of the few privately owned luxury hotels in Rome, the Hassler has an excellent pedigree: it’s run by a fifth-generation hotelier and its guest list includes Beckhams, Cruises, and Paltrows. 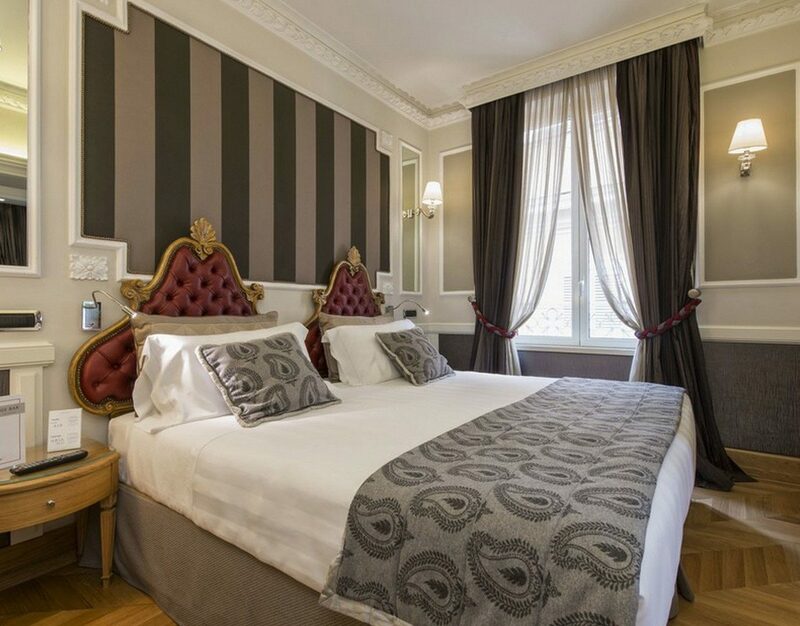 The hotel has remained one of the city’s leading hotels for over a century, and its long history is apparent in the quirky mix of styles—a little Art Deco, a little contemporary, a little Belle Époque elegance. Guest rooms veer from classic wood and marble furniture to modern recessed lighting and fixtures in primary colors. 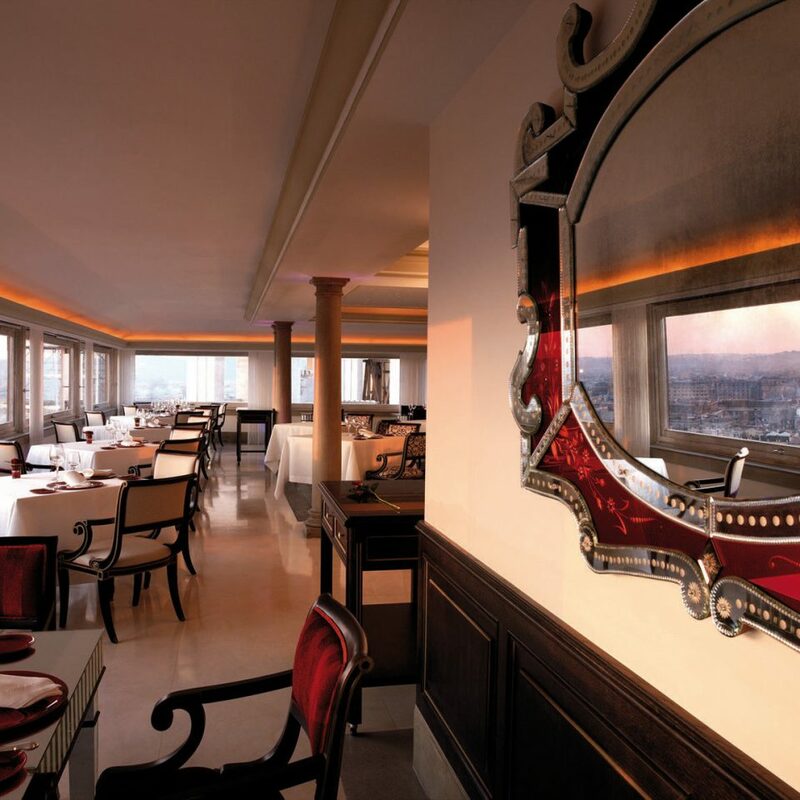 The Hassler Bar, a small annex of red leather and gilded mirrors, retains its early 20th-century charm, though, and makes the perfect hideaway for a pre-dinner Campari before heading to the sixth floor Imàgo restaurant. 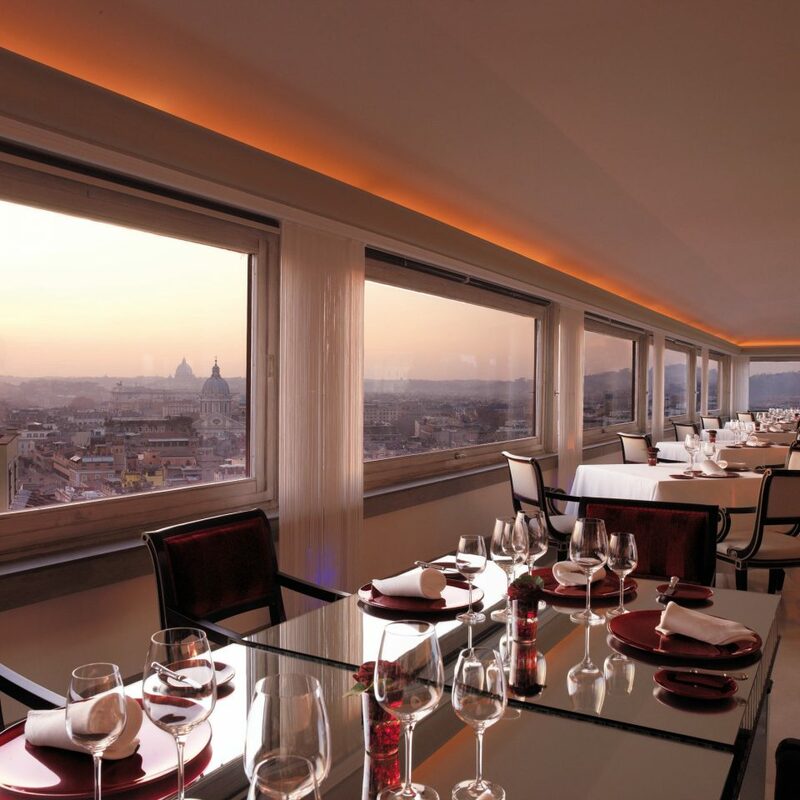 The panoramic city views here take a backseat to the Michelin-starred food, which brings international influences to regional cuisine, like rigatoni slathered in shiso pesto, and a risotto with cacio cheese, pepper and sesame—book in advance to score a table with the best view. 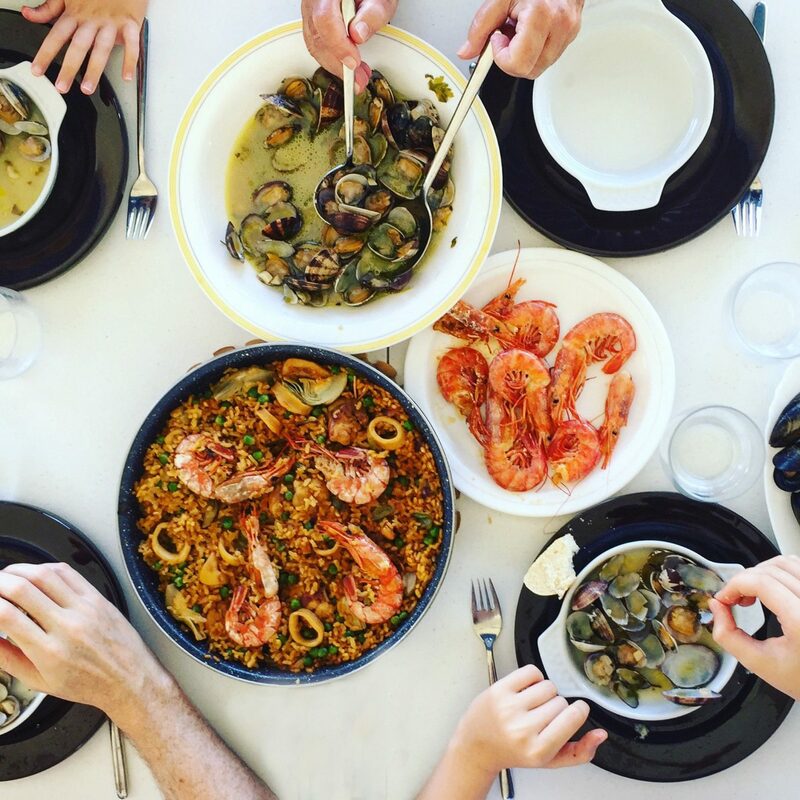 The concierge service is also second to none, so take advantage of it and ask for insider tips on where to shop and dine in the area. 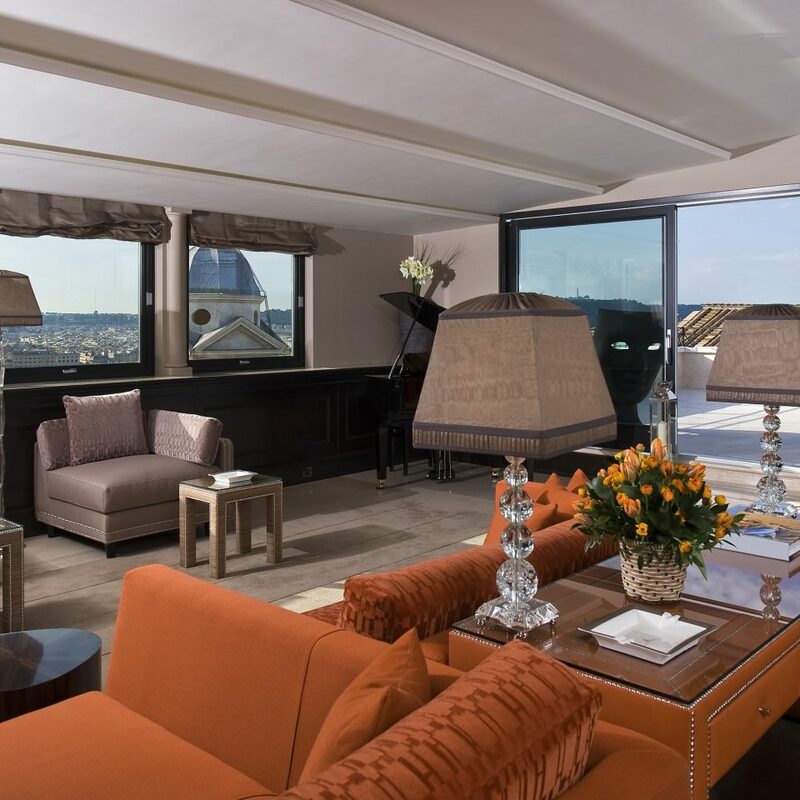 If this is your first time in Rome, the Hassler is well-placed for walking to the city’s landmark sights. 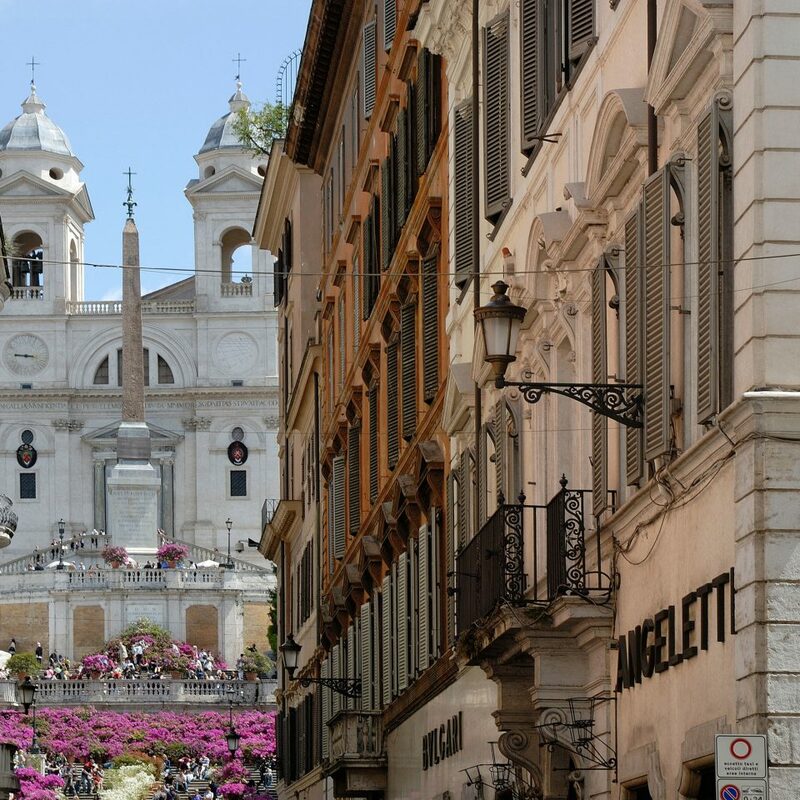 The Colosseum and Trevi Fountain are less than 25 minutes’ walk from the hotel and the Piazza di Spagna, one of Rome’s most beautiful squares (packed with designer shops like Prada and Balenciaga), is just at the bottom of the Spanish Steps. The Vatican is a 1.5-mile stroll across the river, while the landscaped gardens of the Villa Borghese are just a few minutes away. 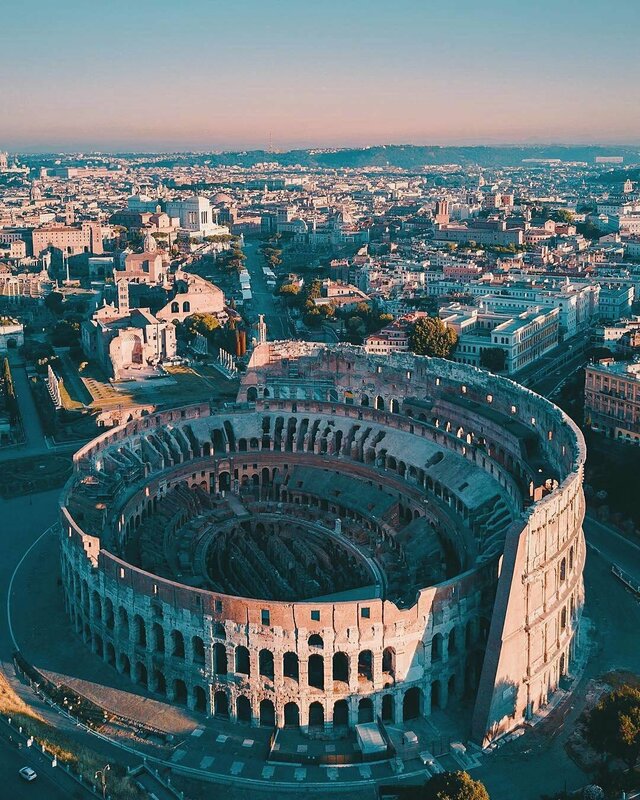 Allow time here to visit a couple of the museums as well, particularly the Galleria Borghese with its impressive collection of classical antiquities. 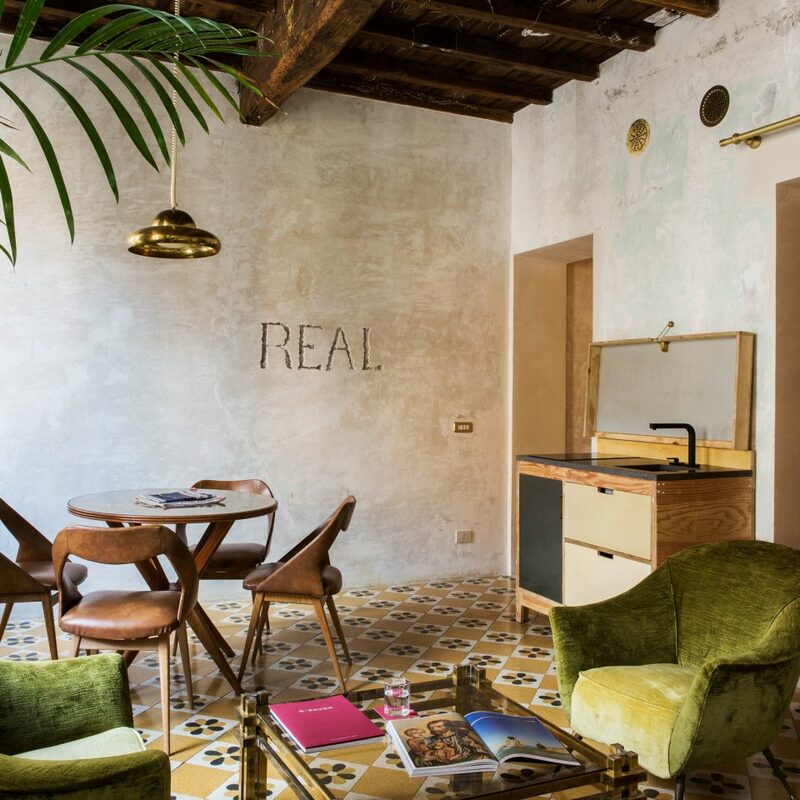 If you want to wander further afield, the Spagna metro stop is just down the street. 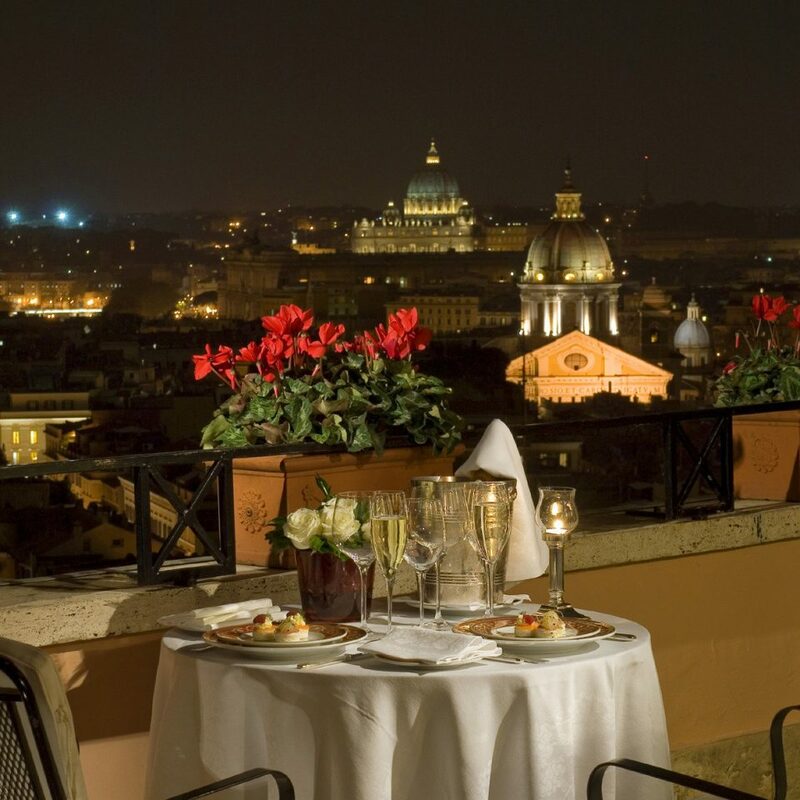 Stunning location atop Spanish Steps. Incredibly friendly and helpful staff. 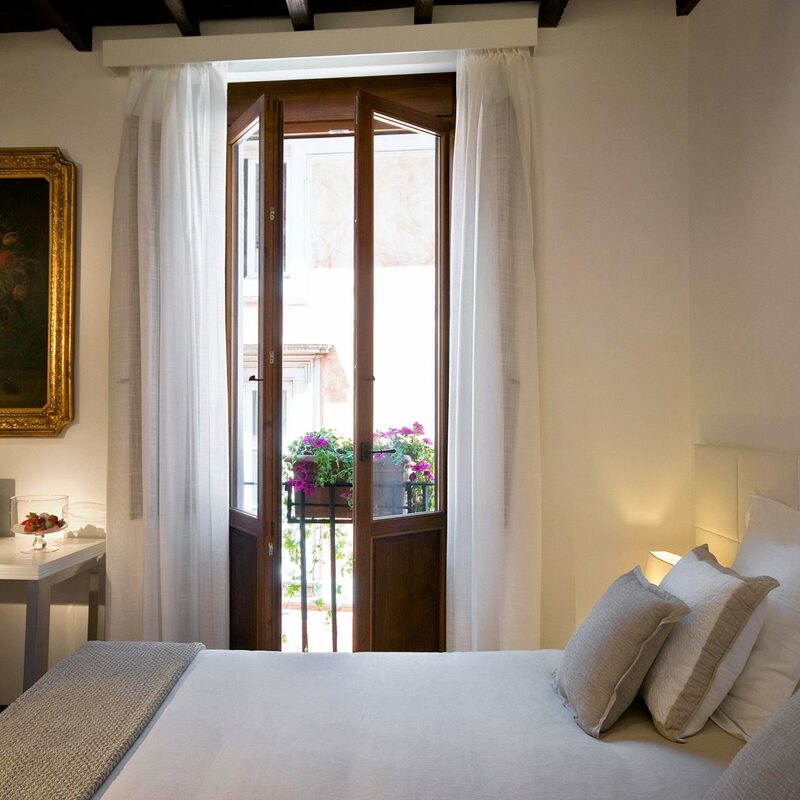 We were somehow lucky enough to be given a corner room overlooking the Spanish Steps, recently renovated, modern and lovely. 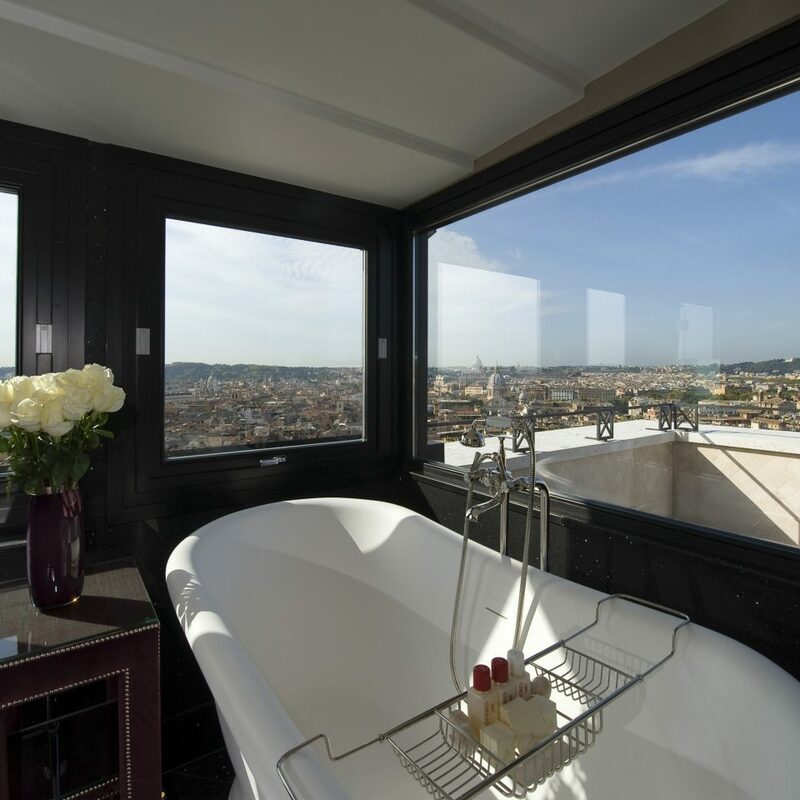 Gorgeous bathroom, super comfy bed and big windows to open up to views of Rome. Breakfast buffet was included in our room rate. Rooftop deck serves cocktails at night with a priceless view. 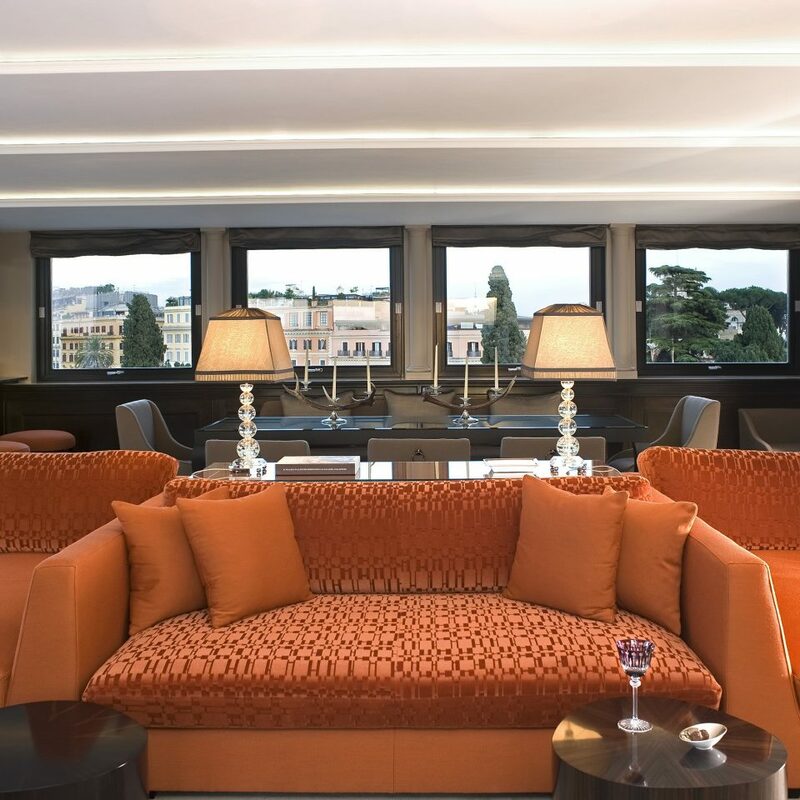 Perfect location for strolling around Rome to Piazza del Popolo, shops, and restaurants. We hope to return some day! From the moment you arrive at the Hassler Hotel you enter elegance. We were greeted with amazing service , smiles and attention. We had the opportunity to meet Giulia Grill a charming administrator and author of a historical book on the Hassler Hotel. She introduced us to the many services that the hotel offered including the spa . The Hassler also has a Michlen star restaurant . Our room was amazing. And the view so breathtaking I had no words to express seeing Rome from this height. I truly felt royal. The attention to detail and service at this hotel is second to none. A truly enchanting hotel. 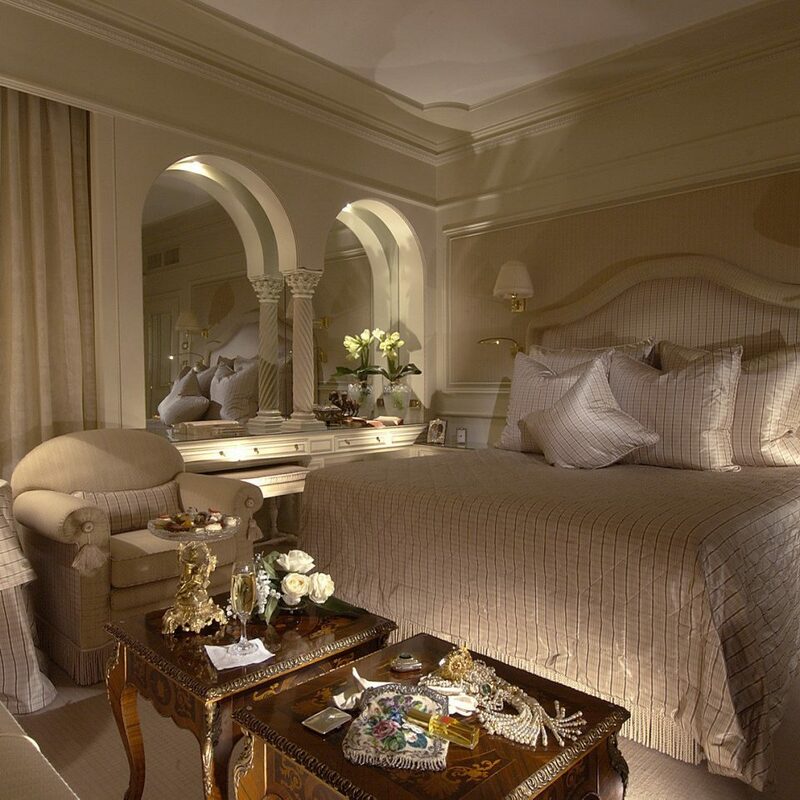 The location, service, quality and delightful attention to every detail. We have traveled well and expected excellence at The Hassler. 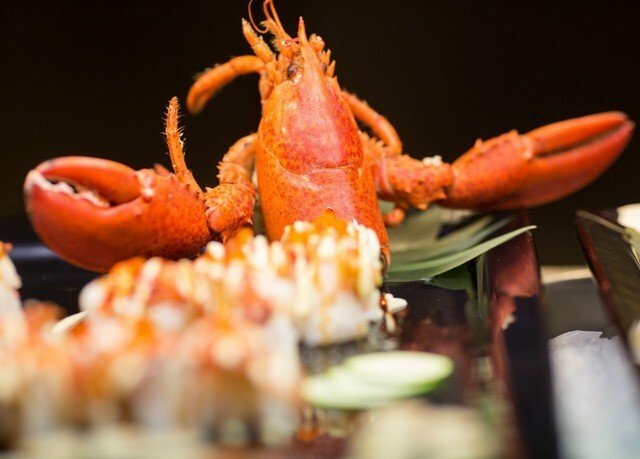 The hotel, restaurants and bars exceeded every expectation and then went beyond every time to make the experience delightful and memorable. 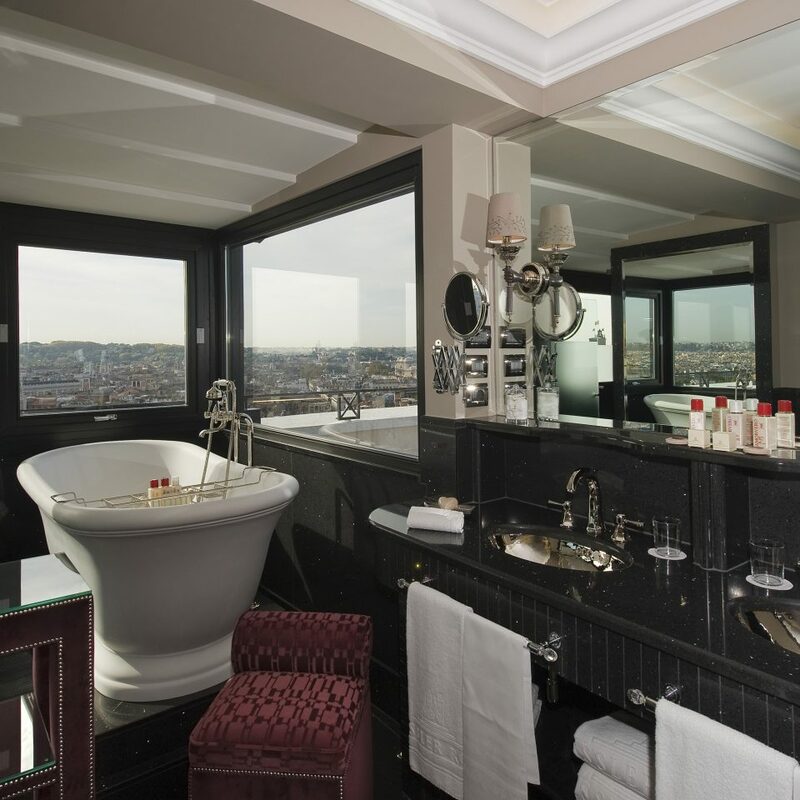 Our lives have been simplified for when we next come to Rome we will simply book The Hassler. 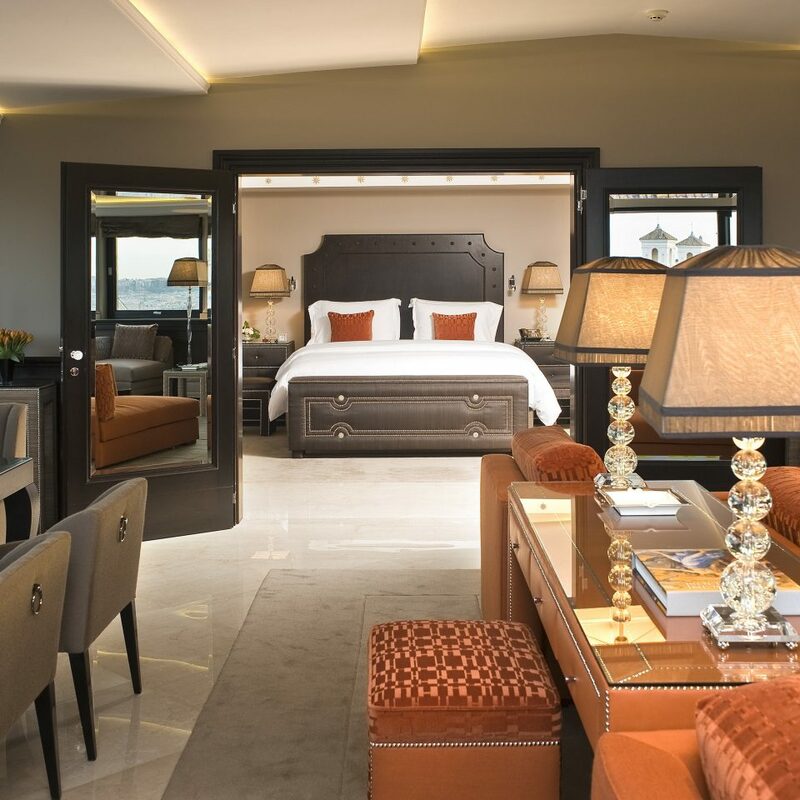 Even on our third visit, we were delighted and thrilled by the personal service, luxury and comfort of this wonderful hotel. With a recent renovation/modernisation the rooms have all the convenience you would expect in a brand new hotel, USB ports throughout the room including next to both sides of the bed. Universal power points, modern AV equipment and a super comfortable luxury bed with lovely crisp linen. 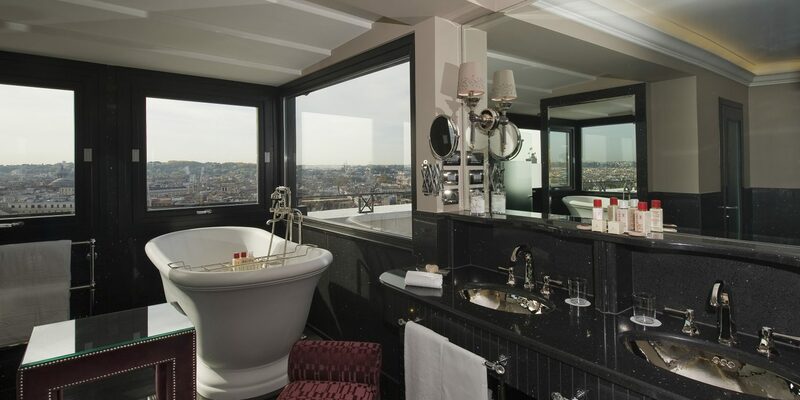 We were in a deluxe suite which was very generous in size. 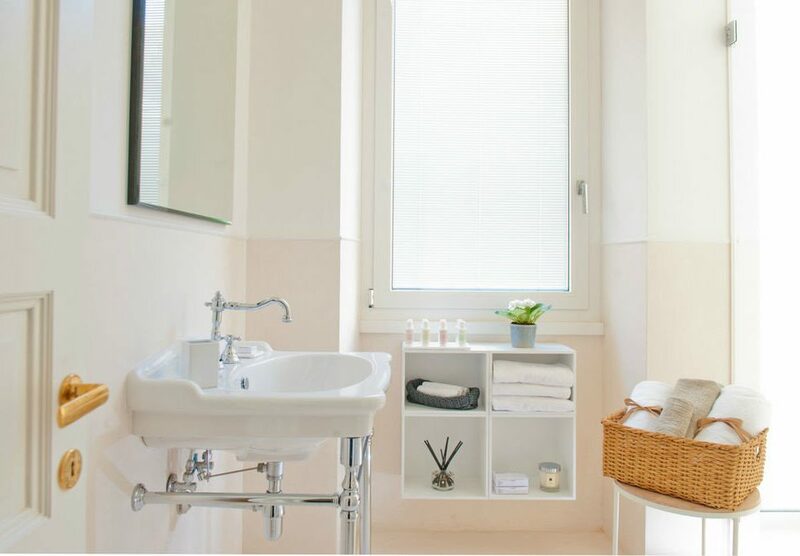 We had a large bedroom with an extended living area, a large walk-in closet and a large three-way bathroom with separate shower and bath and a double basin. The service is wonderful and very personalised. The food (particularly the pasta) in the lobby bar/restaurant is amazing as is their coffee. 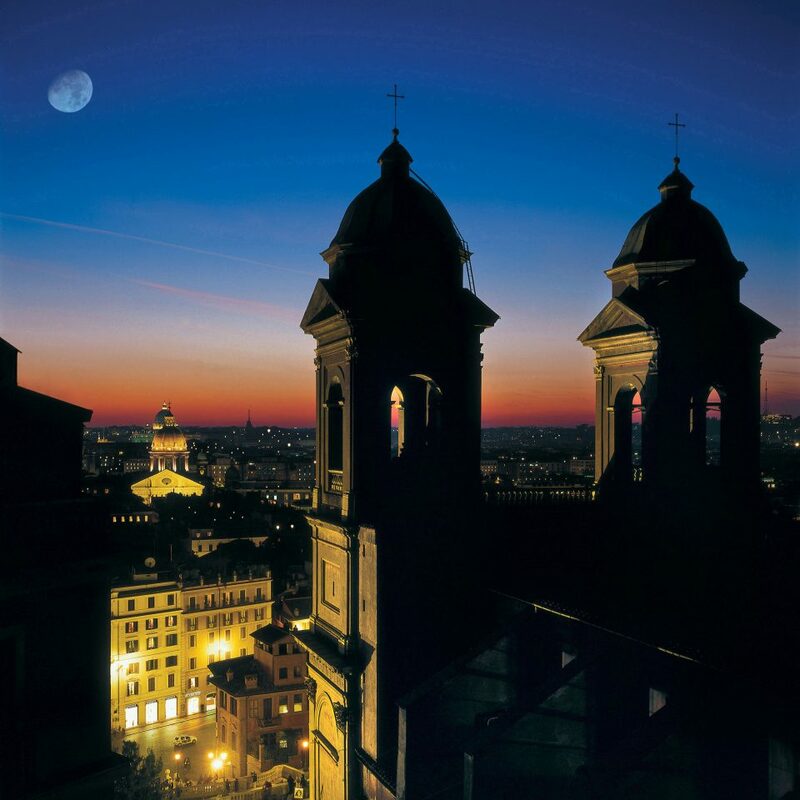 Lingering on the top floor terrace to watch the sun setting over Rome is a special memory. As you know it is traditional and 5star hotel. Staff are nice to us and room is so comfortable. 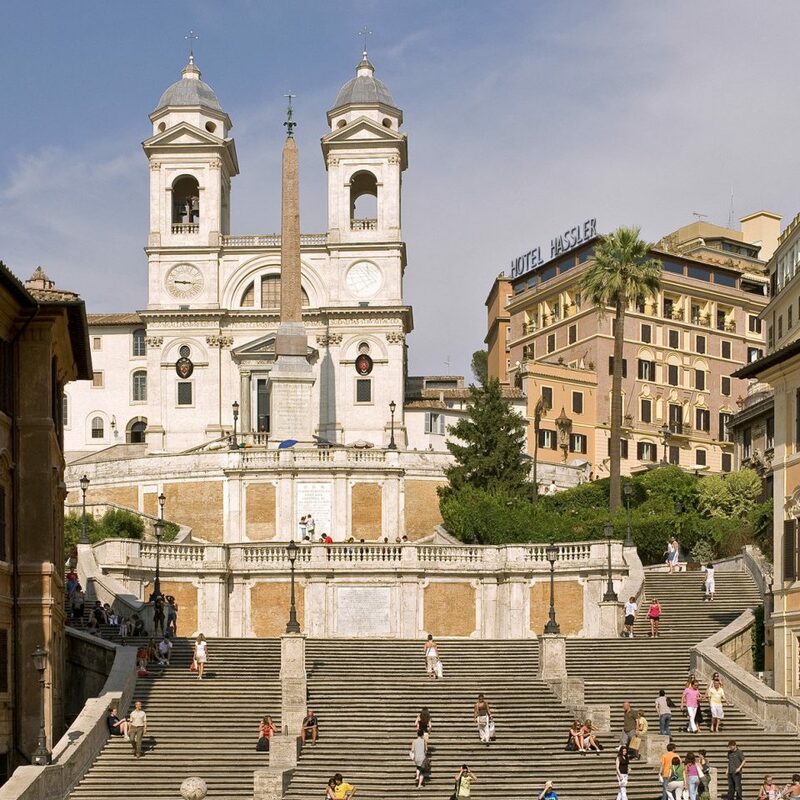 Access is good for young people, because there is Spanish steps to get hotel from station. We heard that there is other way to get there but we could not find. Gym and spa are nothing special. Steam sauna didn’t work well. Breakfast was nothing changed, everyday you have to eat same. If you would like to have some eggs you will be charged. But boiled eggs are included.